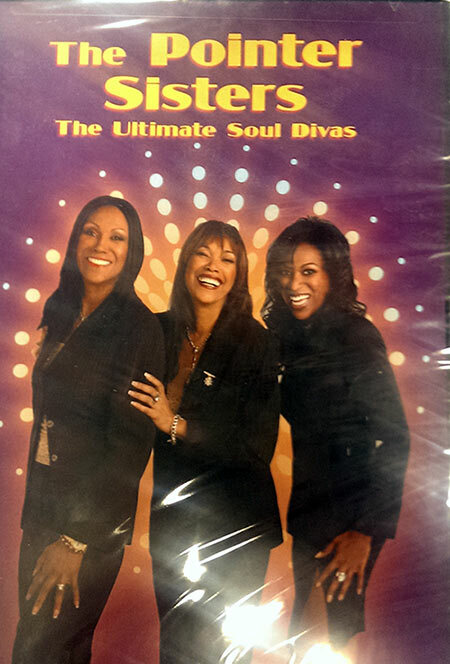 A stellar, high energy concert DVD from legendary R&B trio, The Pointer Sisters! SKU: 13.98. Categories: DVD, Goldenlane, R&B. Filmed in April of 2004, this exciting concert features the group’s best loved singles such as “Jump (For My Love),” “Slow Hand,” “Automatic,” “He’s So Shy,” “I’m So Excited,” “Neutron Dance” and more! Mixed in both 2.1 Stereo and awesome 5.1 surround PLUS interviews, photo gallery and more!